In case you thought the stock car was too plain. The Tesla Model 3 is a very impressive vehicle, though we aren’t the biggest fans of its styling. 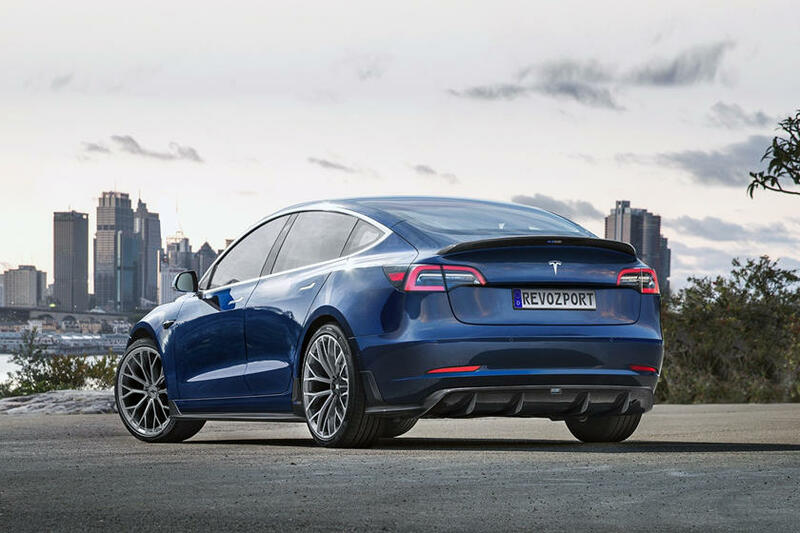 It lacks the pizzaz of its larger Model S sibling. Even the sporty Model 3 Performance looks pretty much the sameas the base car, making it difficult to differentiate one from a less expensive model. 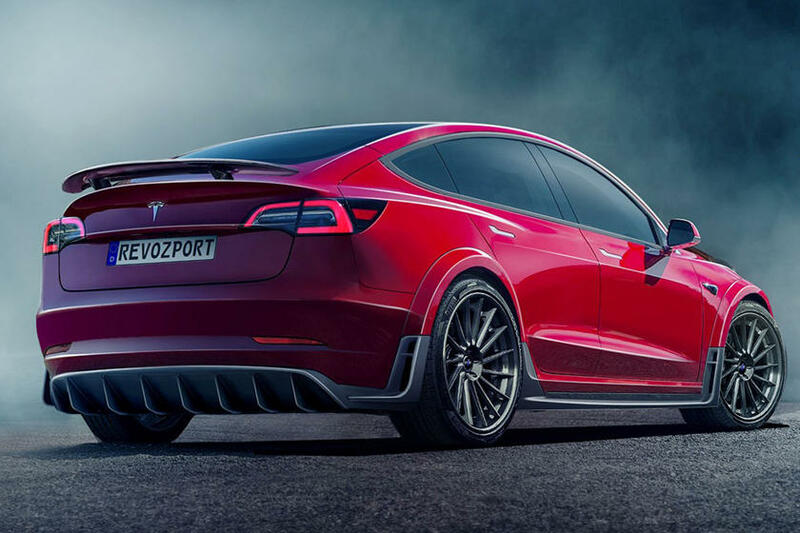 Since Tesla doesn’t offer any upgrades to jazz up the exterior, owners must turn to the aftermarket.RevoZsport makes body kits for everything from Audi to Ferrari and has worked its magic on the Tesla Model S in the past. 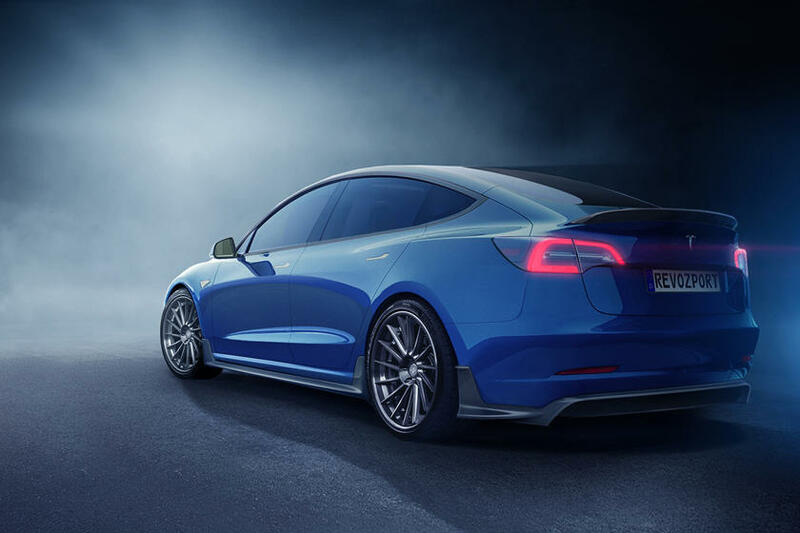 Now the Hong Kong-based aftermarket company has turned its sights on the Model 3. The cheapest kit is the R-Zentric Model 3S Strasse Aerokit (pictured in blue), which costs $5,500. The R-Zentric Model 3S Strasse kit includes carbon fiber side skirts, rear bumper skirts, an aerodynamic diffuser, and trunk spoiler available with gloss, matte, or forged finishes. The R-Zentric Model 3R Aerokit (pictured in red) is more expensive at $9,500, though it does include 15 pieces including a performance wide body. The full kit includes an M3R GT spoiler, front splitter with side blades, rear ground tunnel system, extended side skirts, and extended front fenders that are 15 mm wider than stock. It is worth noting both of the cars pictured here ride on bespoke aftermarket wheels. 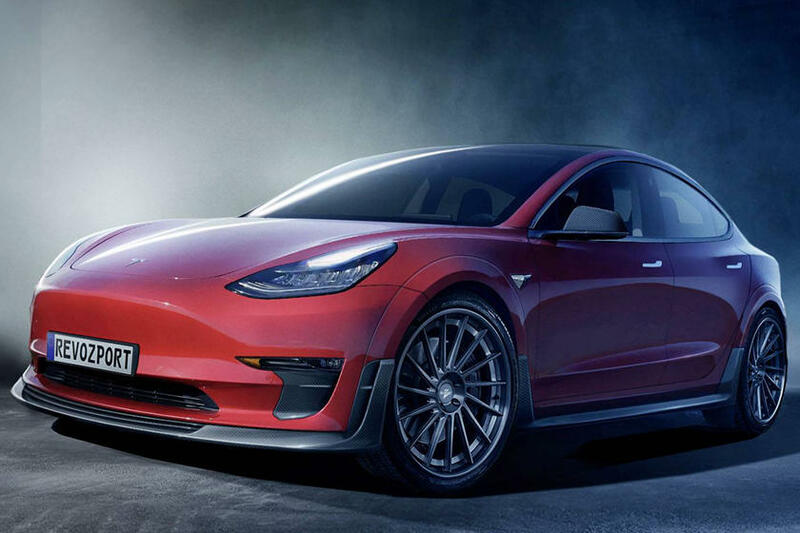 With its wider track, the R-Zentric Model 3R kit accommodates wider RevoZport 21-inch lightweight forged aluminum wheels with 255-mm tires in the front and 305-mm tires in the rear. If you like the way some of these components look and would like to install them on your Model 3, the parts are available individually without ordering the whole kit. You may also notice a European license plate in all of the pictures. 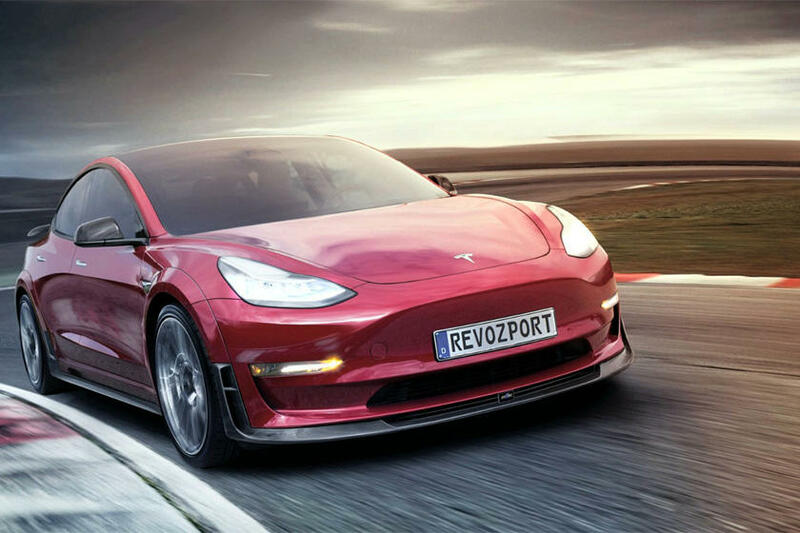 Tesla has recently received permission to sell the Model 3 in Europe, so there should be no shortage of them on the road in a few months time. If you’d like to stand out even more these body kits do the trick. 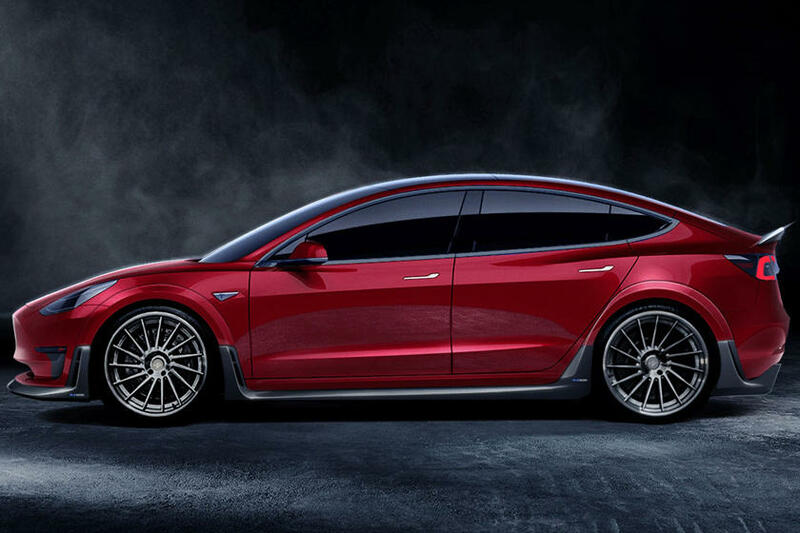 Next Article Are Tesla Model Y And Truck Debuts About To Happen?